Italian pathologist; born at Sabbionetta Jan. 26, 1848. He attended the lyceum at Milan; studied medicine at Pavia, and took postgraduate courses at the universities of Turin and Heidelberg. As Rizzozero's pupil in pathologic anatomy, he was appointed in succession privatdocent (1876), assistant professor (1878), and professor (1881) at Modena, and professor (1884) of pathological anatomy and bacteriology at Turin. In 1868 he took part as a volunteer in Garibaldi's campaign against the Southern Tyrol. He is a member of the Accademia di Medicina (1886), of the Lincei of Rome (1892), and of the Reale Accademia delle Scienze, Lettere e Arsi, of Turin (1895). 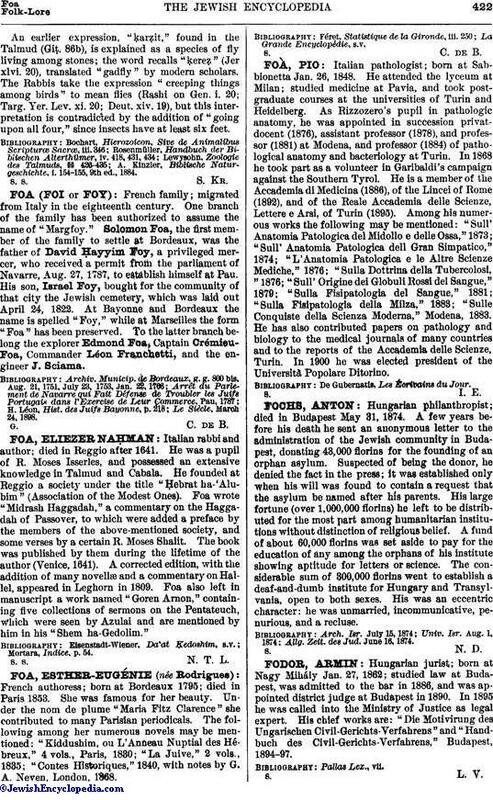 Among his numerous works the following may be mentioned: "Sull' Anatomia Patologica del Midollo e delle Ossa," 1873; "Sull' Anatomia Patologica dell Gran Simpatico," 1874; "L'Anatomia Patologica e le Altre Scienze Mediche," 1876; "Sulla Dottrina della Tubercolosi, "1876; "Sull' Origine dei Globuli Rossi del Sangue," 1879; "Sulla Fisipatologia del Sangue," 1881; "Sulla Fisipatologia della Milza," 1883; "Sulle Conquiste della Scienza Moderna," Modena, 1883. He has also contributed papers on pathology and biology to the medical journals of many countries and to the reports of the Accademia delle Scienze, Turin. In 1900 he was elected president of the Università Popolare Ditorino. De Gubernatis, Les Écrivains du Jour.